Welcome back FOOTBALL SEASON!! I put together a list of the best sports bars in Nashville for y'all !! I have included their happy hour information, as well as what menu items they are known for (helpful if you are indecisive like me). 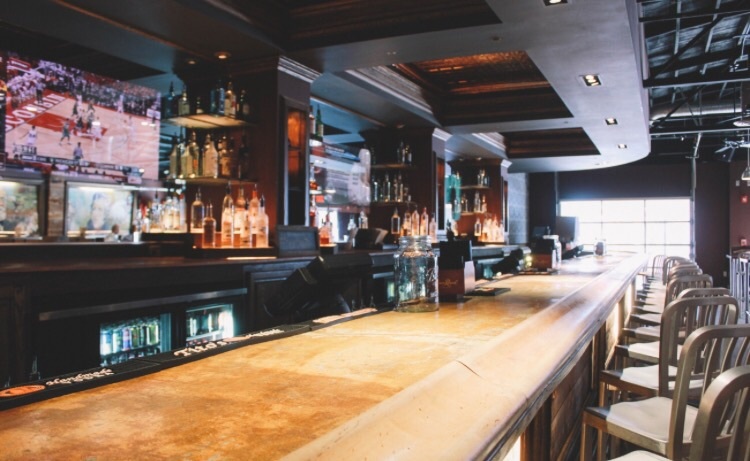 Nashville has an incredible selection of places to get your friends together and grab a cold one, a wide variety of mouth-watering food, and an abundance of tv's to watch your favorite team play! Neighbors, located in Sylvan Park, was the 2015 winner of "Best Neighborhood Bar" in Nashville by the Nashville Scene. 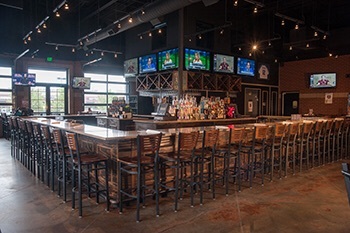 Sam's Sports Grill has four great locations in Temnessee to choose from, including Belle Meade, Murfreesboro, Hendersonville, and Blue Turtle Bay Marina. Specialty: Pizza and wings. They offer a very diverse menu and you will be happy to know it's all made from scratch! Happy Hours vary by location. M.L. Rose has two locations, one on Franklin Pike & one on Charlotte Pike. Both offer spacious patios. Even the patios have tv's so you won't miss the game! Specialty: Their wide selection of craft beers & the "Nashvegas" Burger. Their sweet potato waffle fries are a big hit too. Sunday: Happy Hour all day until 10pm. 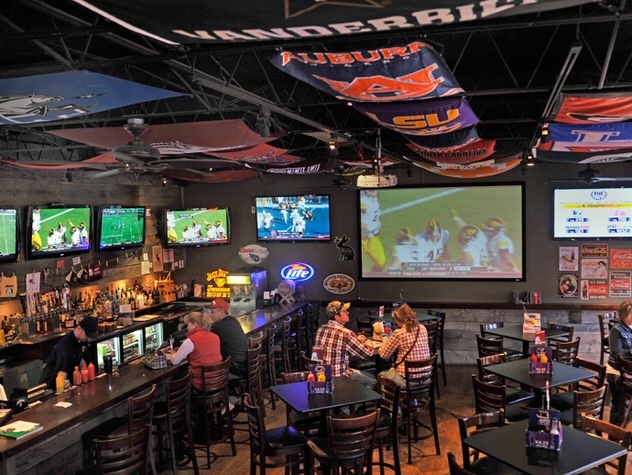 South is located on Demonbreun and their extra big screen TV makes for a fun game watching experience. Specialty: "The Nashville" chicken wrap, wings & the South Burger. Harp & Fiddle is also located on Demonbreun. They have a large tv on display outside the building, which can make for a very fun patio experience during a big game. Crows Nest is located in Green Hills. With 38 tv's, 2 floors, 2 bars, and 3 patios I would say they are up on their sports bar game. Double Dogs is located in Hillsboro Village and their 35 tv's will ensure you have a great view to see your favorite team play. Jonathan's Grill has five locations: Green Hills, Cool Springs, Mt. Juliet, Spring Hill, and Bellvue. It was named by CNN as one of the "Top 101 Sports Bars in America". Dawg House Saloon is located on Demonbreun and you can always expect a good crowd. Smokin' Thighs is a food truck turned restaurant, located on Wedgewood Avenue, and is known for having Nashville's largest moonshine selection. Jed's is Nashville's biggest sports bar, located on West End within walking distance to Centennial Park, and they show every major sporting event. Specialty: The Sonoma Burger, Homerun Nachos, & the wings. Everything is made in house fresh from scratch, even the tortilla chips. $1 off bottles and drafts and $4 well drinks with additional weekly specials below. Broadway Brewhouse offers five locations: Midtown, Charlotte Pike, Cool Springs, Highway 100, and Downtown. Specialty: They created the Bushwacker so that is definitely a must and their wings are a local favorite.